Castle Ruthie is one of the less known castles in Nouvelle-Aquitaine. It is located in the village of Aussurucq, not far from the Spanish border. The first structure was built in the 11th century when the abbey of Roncesvalles founded a hospital for the pilgrims going to Santiago de Compostela. In the 16th century, much of its structure was destroyed by the Baron of Senegas who was sent to set fire to the noble houses in the region. The current castle consists of two main buildings constructed in the 17th or 18th century, flanked by two large towers of the 15th century. The large dining room is adorned with beautiful oak decorations from the 18th century. There is also a superb oak fireplace in the great hall. 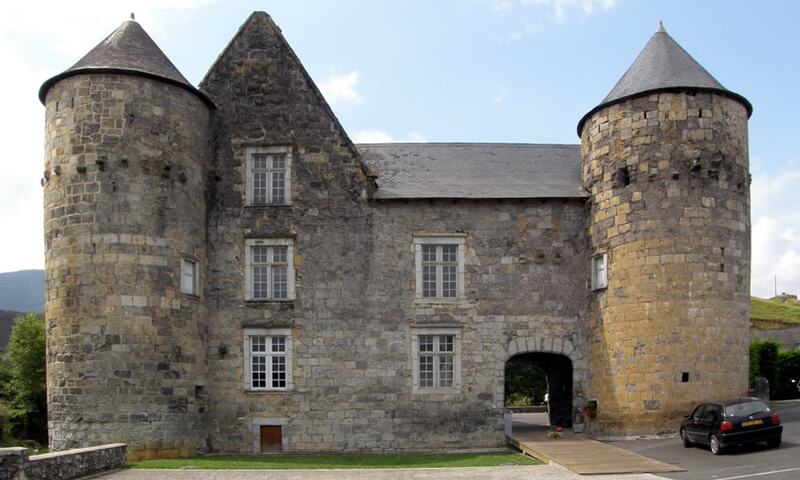 The castle, which is listed as a historic monument, is the property of the commune.